Terragnosis gives you a new setup for playing Sulphur, their sci-fi minis game, with a new scenario up on their website. 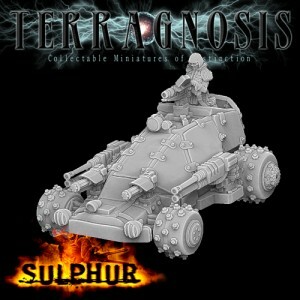 Terragnosis have released a new scenario for their post-apocalyptic battle game Sulphur. It's fun, fast and deadly - so check out the website and download the scenario - for free!